This is a 1 step paint and doesn't require clearcoat. This is NOT for motorcycle Fairings or Fuel Tanks that are clearcoated. Perfect for the quick touch-up jobs. The single stage paints are legal in all 50 states. 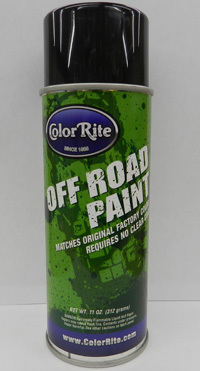 This color was used on many years and models of Kawasaki Dirt Bikes and ATV's.